This week has been all about the big numbers in the photography world, with Nikon unleashing a 36 million pixel DSLR, Pentax revealing a 46MP compact and staggering number of superzoom compacts. It's been the CP+ photography show in Japan, which usually doesn't mean quite so many releases. But, with 2011 hitting Japanese manufacturers hard, it seems this year they wanted to save some of their goodies for their own home-grown show. After weeks, months, nay years, of speculation, rumour and gossip, the headline release is the Nikon D800, the company's new semi-pro DSLR. Also making their debut this week are new cameras from Olympus, Sigma, Pentax and Canon. Read on to find out all of this week's big camera news, each with links to the full story. Don't forget to let us know what you think over on our Facebook page. Many of the headline specs of the D800 came as no surprise as it seemed that most of the details had already been leaked online. However, it still impressed us when we went to see it at the beginning of the week. 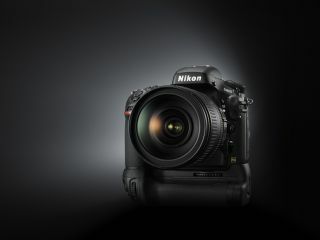 It features a 36 million pixel sensor, 6fps shooting, 51 autofocus points and many of the same features as its bigger brother, the D4. Some may be disappointed that the D800 doesn't have an articulating screen, but if you're a pro, according to Nikon you won't be. Do you agree that pros don't want articulating screens? Rod Lawton, one of our friends over at N-Photo magazine, argued that the D800 could take on the might of the hugely popular Canon EOS 5D Mark II. With Canon declining to announce a 5D upgrade this week, will the D800 be a Canon 5D Mark II killer? We've guessed it was coming for several weeks now, but the Olympus OM-D E-M5 was finally revealed on Wednesday. Featuring a 16 million pixel Live MOS micro four thirds sensor, it's styled after the classic OM series of film cameras. If you're a little bit confused about the differences between the OM-D and Olympus' other highly specced camera, read our Olympus OM-D E-M5 vs Olympus PEN E-P3 comparison piece and find out which one is for you. Does the OM-D mean the end of Olympus DSLRs? The company is refusing to rule it out, but it hasn't released a new one for years. We take a look at the likelihood of them making a comeback. This week also saw Olympus reveal some new compact cameras, including a new 24x optical zoom model. Mark Thackara, the company's UK marketing manager believes that mobile phones will never replace compacts - what do you think? Nikon wasn't the only one with big numbers this week, Sigma has also unveiled the Sigma SP1 and Sigma DP2 compact cameras which feature a whopping 46 million pixel sensor. Fovean X3 sensors that are used in these cameras are actually constructed using three layers of 15.3 million pixels, and are shared across Sigma's other cameras, including its flagship DSLR, the Sigma SD1 which also got an update and price reduction this week. A lot of people will be left disappointed that Canon didn't introduce a new DSLR (or compact system camera) at the CP+ show this week. However, they have introduced three new EF lenses, an underwater compact, a duo of stylish IXUS compacts, two new superzooms and a range of new Powershot A cameras. Although a CSC isn't forthcoming from the company, a representative told us in an exclusive interview that compact system cameras are a good idea because they bring more people into photography. Introduced a few weeks ago at CES, Canon's G1 X is what many believe will eventually morph into a mirrorless model, especially with its large sensor. Its biggest rival Nikon was shocked by Canon's decision to produce the camera with one spokesperson telling us the G1 X was for "fanboys" only. Kodak announced it was going to stop making cameras in order to cut costs, Sony revealed it's NEX lens line-up plans and Pentax unveiled two new tough cameras. That's it this week, after a manic few weeks of camera releases, we're looking forward to receiving them all in the office to put them through their spaces. Stay tuned for all the latest reviews and news, right here on the TechRadar cameras channel.